Walmart has Food Network Kitchen™ Inspirations Dressing or Vinaigrette for $2.98. 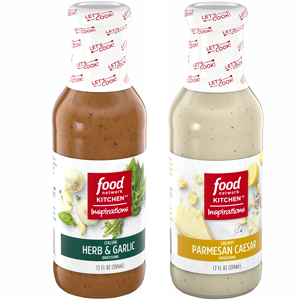 There is a Ibotta offer for $2.98 Cash back on Food Network Kitchen™ Inspirations for any Dressing or Vinaigrette variety, 12 oz. bottle at Walmart making it FREE!